The vehicle that gave us room to roam reminds us that there is always room to grow and #ExploreMore. Ford Explorer – the best-selling SUV in the United States for 25 years – reaches new heights with the Platinum edition, a well-appointed combination of the performance-minded Explorer Sport and comfort-designed Limited trim level. 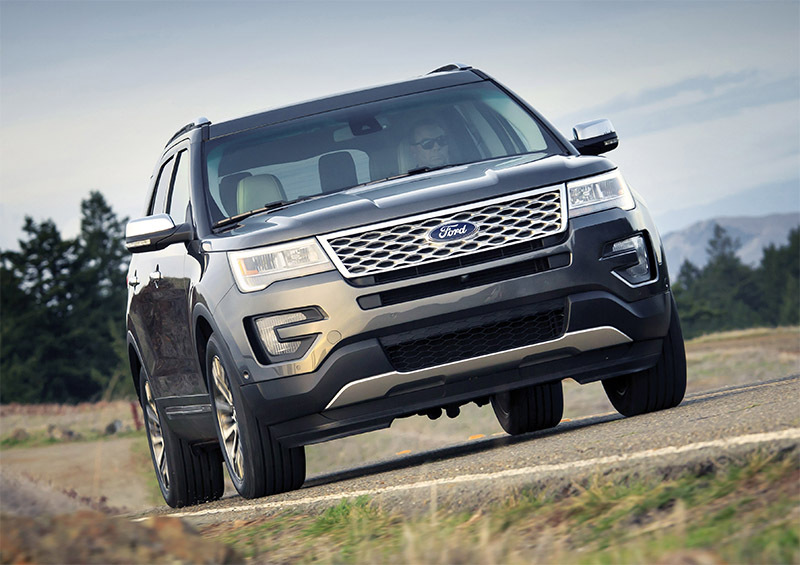 the 2016 Ford Explorer Platinum will hit showrooms in September. The new Explorer Platinum further elevates the three-row SUV in look and feel, with standard upgrades both inside and out. New multi-adjustable front seats wrapped in Nirvana leather with micro-perforation, industry-first 500-watt premium Sony® Audio System, smart driver-assist technologies and powerful 3.5-liter EcoBoost® V6 engine advance Explorer in ways customers can see and feel.